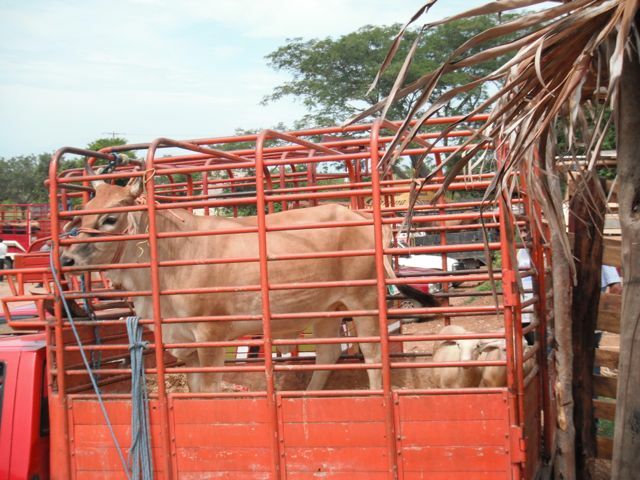 On Wednesdays you will often see trucks on the highway hauling a cow or two. 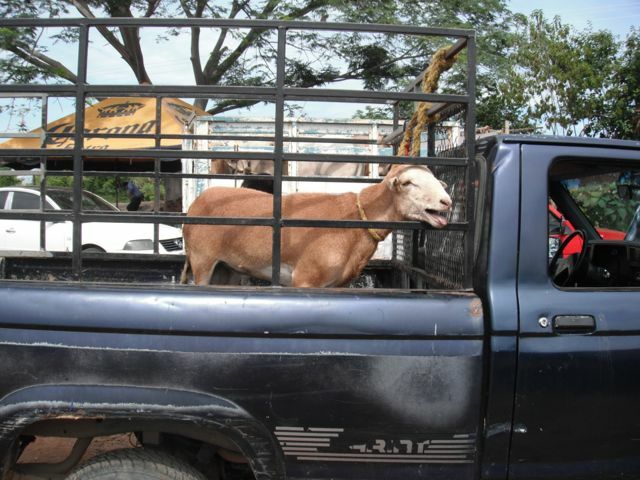 Probably they are coming from or going to the weekly livestock market [tianguis] on the road to Colotepec, about 1 km from the Coastal Highway. Even if you don’t want to buy a cow or goat, you might still enjoy a lunch of barbacoa.